62 (SC-18, ST-32, OBC-12) i) Matriculation or Equivalent Examination passed from Govt. recognized Board. Eligible candidates may apply online at SECL's website (direct link is given below) from 04 Feb 2019 to 20 Feb 2019 till 11:59 PM. Coal India Recruitment 2019 - Apply Online for Apply Online/ Offline for Director (Marketing) Post in Department of Personnel & Training, Coal India, New Delhi on Absorption. 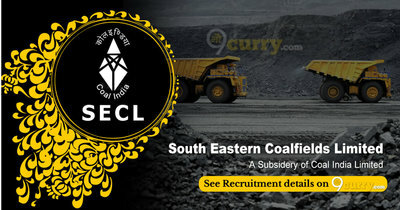 Online Applications are invited by Coal India Limited (CIL) from 08 Mar 2019 to 15 May 2019 till 03:00 PM for 1 vacancy.